A few weeks ago Debz of The Not So Secret Diary of a Wannabe Princess fame alerted me that Yours Clothing were selling 5 dresses for 99p. 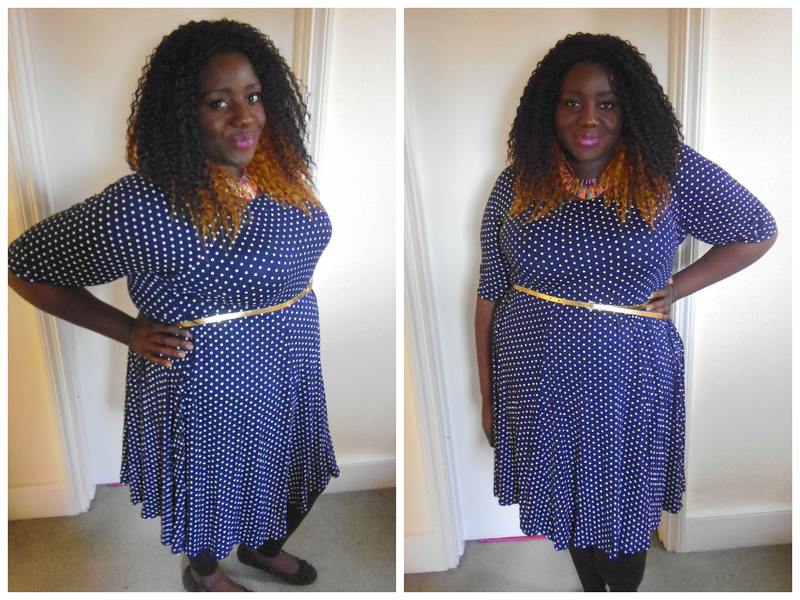 Cheap plus size dresses, of course I couldn't resist and I snagged this navy polka dot dress. On arrival, I wasn't too keen on the dress (I probably should have sized down) but with a statement necklace and gold belt to highlight my waist it really changed the feel of the dress. 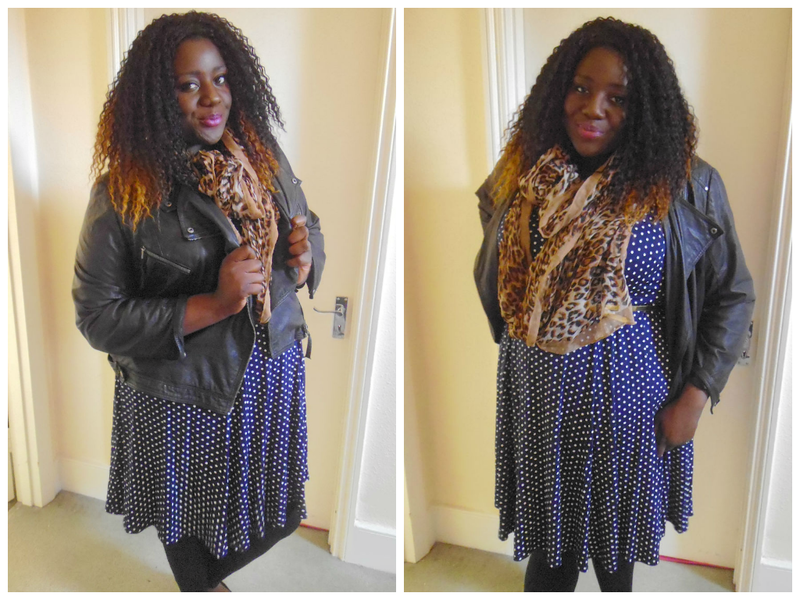 I love how versatile the dress is, especially dressed down with a scarf and my ever faithful leather biker jacket. You look crackin' in it & what a bargain!